Tendril boosts its offerings with Recurve’s building performance analytics. Tendril is purchasing Recurve, an energy audit and retrofit company, to integrate the company's software into the Tendril platform. Recurve has gone through a few retrofits of its own during its eight-year history. Last year, the company shifted its construction group to Advanced Home Energy, a retrofitter in the East Bay. At that time, Recurve focused solely on software development. The downturn in construction, lack of capital for improvements, and the politically hog-tied PACE programs have all made the business of home retrofits tough going in the past few years, not to mention the challenges imposed by the inherently fragmented market across 50 states. The picture looking forward isn’t much rosier. The company found that software turned out to be tough to sell on its own, even though it streamlined the retrofit process. “The contractor space is very fragmented,” said Andy Leventhal, CEO of Recurve, who will become the head of business development with product service providers for Tendril. Tendril will use the home auditing software to add more depth and precision to its home energy management offerings. “The piece we were really excited about was that they’ll enable us to improve the modeling of homes in a much more substantial way,” said Ivo Steklac, chief operating officer for Tendril. The company will acquire Recurve for an undisclosed amount. Recurve had raised $16 million in two rounds of financing. This is Tendril’s second acquisition. It bought GroundedPower in 2010. In developing the software, Recurve took all of the necessary tools, including building simulation, solution optimization, and photo management, and put them in one place with a basic user interface for contractors. Recurve fine-tuned the software in-house to account for all of the variables that go into building efficiency to create a program that even less-experienced auditors could learn quickly. The acquisition of the software does not mean Tendril is getting into the retrofit business. Instead, the current product that Recurve offers to contractors will be discontinued and Tendril will integrate the software with its own. Although Tendril isn’t interested in contracting and retrofits, it wants to have a deeper analytical platform for utilities or other partners that might be considering offering efficiency upgrade programs to consumers. The acquisition also has the benefit of adding a San Francisco office for the Boulder-based company. Tendril will be bringing on Recurve's employees. The sale comes at a time when financing models for retrofits are being revisited. The United Kingdom will launch its Green Deal later this year, which will provide upfront payment for retrofits up to $10,000 that are paid back on utility bills. The state of California is also exploring the option of utility on-bill financing for residential and commercial retrofits. In South Carolina, sustainability management company Ecova, which recently partnered with Aclara, is making use of smart meter data to do home retrofits and then the utility is offering on-bill financing. On a federal level, regulators are also looking to un-block property-assessed clean energy, or PACE, financing. The Federal Housing Finance Agency is being court-ordered to reconsider whether its rules on PACE financing should be “maintained, changed or eliminated.” The rules are currently preventing PACE financing from being able to be operate as it was intended in the residential market. Big-box stores are also moving into the energy efficiency space. 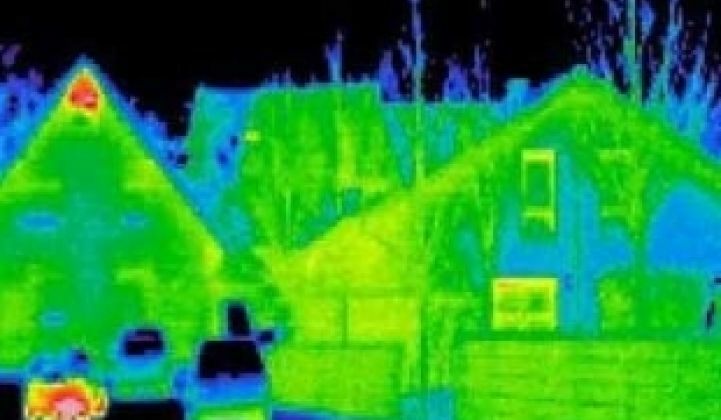 Best Buy is teaming with service professionals that can perform in-home energy audits in three pilot cities. Lowe’s is building a suite of products that run on a single platform for home controls. Although there is a growing momentum in energy efficiency, most of the money and effort is still focused on the commercial sector, where paybacks are quicker and the savings are more substantial. The White House’s $4 billion Better Buildings Challenge, for instance, is aimed only at the commercial and industrial sector. Even though the commercial sector has more momentum, Tendril sees the added offerings as integral to its platform as it continues to scale. Tendril took nearly three years to have 100,000 contracted households in its business. In 2011, that figure jumped to more than one million homes.